Listen to the latest new music from Chris Brown, Rihanna, Skepta and more of your favourite artists. If you're looking for some great new music to add to your Summer 16 soundtrack, look no further. Drake's 'One Dance' may be everywhere right now but we've put together all the biggest tracks that will undoubtably challenge it for song of the summer. Featuring new music from Rihanna, Chris Brown, Skepta and Tyga, to name a few. Stream 18 new songs you should know about this month below. Rihanna revealed her love for Star Trek and unleashed the huge soundtrack for new movie 'Star Trek Beyond'. Despite Chris Brown's reported legal troubles, Breezy continues to drop big new music. His latest track features Section Boyz, Wiz Kid and Hoody Baby! WSTRN have followed up 'Come Down' with a Reggae-inspired summer single. Can it replicate the success of their breakthrough hit 'IN2'? Tory Lanez sampled Tanto Metro & Devonte's 'Everyone Falls in Love' for a new Dancehall-inspired single. Future has continued his impressive run of new music with a mixtape alongside his right-hand-man DJ Esco. The new project is sprinkled with big features including Drake, 2 Chainz, Young Thug and more. Rae Sremmurd are encouraging girls to do Yoga this summer! This bass-heavy track follows-up their recent single 'Look Alive'. Skepta followed-up his recent album with an experimental new song alongside former OVO Sound singer ILoveMakonnen. Vic Mensa chose to celebrate free love on his new song - celebrating LGBT Pride month. In an open letter, the Roc Nation rapper admitted that he never paid attention to LGBT until one of his family member's came out as gay. Dizzee Rascal is back with a huge dance-inspired track alongside Calvin Harris. The pair, who worked together on 2008 hit 'Dance Wiv Me', are back with another big single. 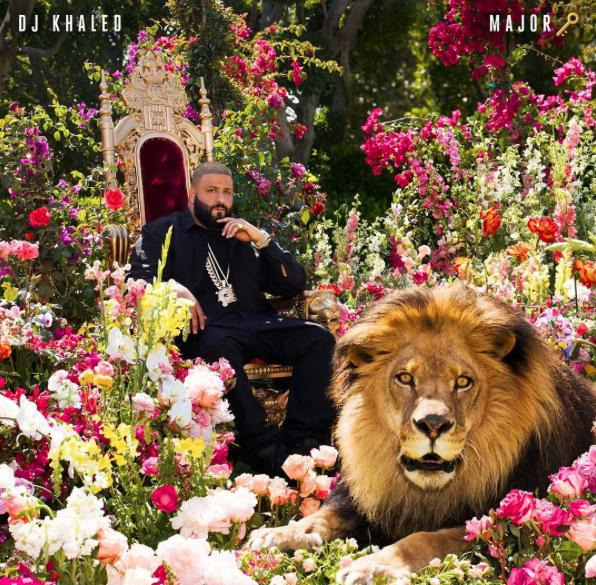 Following his highly-publicised antics on Snapchat in recent months, DJ Khaled is finally preparing to drop a huge new album featuring Drake, Jay Z, Nicki Minaj and more. The project is set to drop on 29th July. Tyga caught some heat on social media for the track's similarity to Drake's 'Controlla'. But '1 Of 1' is guaranteed to get lots of play this month! JuJu Gotti's Atlanta hit 'Mismatch' has got a big new remix from Wiz Khalifa. The original dropped back in 2014 but is set to get even bigger thanks to Wiz's new rework. Miguel dropped a super smooth new song to soundtrack warm summer nights. Joe Budden finally took shots at Drake after a number of hints. Will Drizzy respond? Desiigner finally followed-up his breakout hit 'Panda' with a brand new mixtape. The rapper showed off his versatility and attempted to prove any doubters wrong. UK R&B singer Angel linked up with Steff London for a summer slow jam. Tiesto linked up with John Legend for an upbeat dance track that is bound to be the soundtrack to endless summer parties. 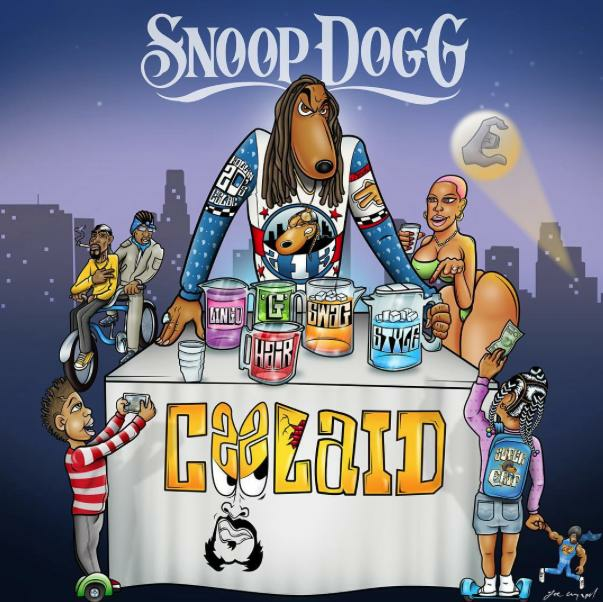 West Coast legend Snoop Dogg steadily released singles from his new album throughout June and delivered the full project in July - featuring Wiz Khalifa, Swizz Beats and more. The album is currently an Apple Music exclusive.